Circa 1976, Gerry and I would skip class, smoke whatever scrap of contraband we could scrape together and meet in the high school auditorium where there was a piano and bang out crunchy rhythms…. At home I shoved a mic into the family upright piano and overdrove a cheap recorder and home made echo-plex to get an impressive cacophony. Gerry was playing guitar, listening to Alice Cooper, hair down to his back and about the only Mexican American in a white bread school. He was cool! So when he said one day, “Hey man we should jam some time!” I was stoked. We did, man it was fun! I was soon on the lookout for a keyboard to become legit with. I found the already ancient Vox Jaguar in the Houston paper that had belonged to Fever Tree, one of the original psychedelic bands of the late 60s. I didn’t know how famous they were at the time but I bought it for $160 and a Kustom blue sparkle vinyl amp with a speaker that I blew out just right, that made the most beautiful distortion, accompanied by a beloved phase shifter. We began torturing our parents in various suburban garages and bedrooms after adding Norman Davis on drums and Steve Koch on bass. Back then it was a Black Sabbath sounding, blues based crunch. Songs like “Carry Your Water” and “Space Age Flyer” were early comps. We made a 4-track recording in a local studio around then that our drummer didn’t show up to the session for. 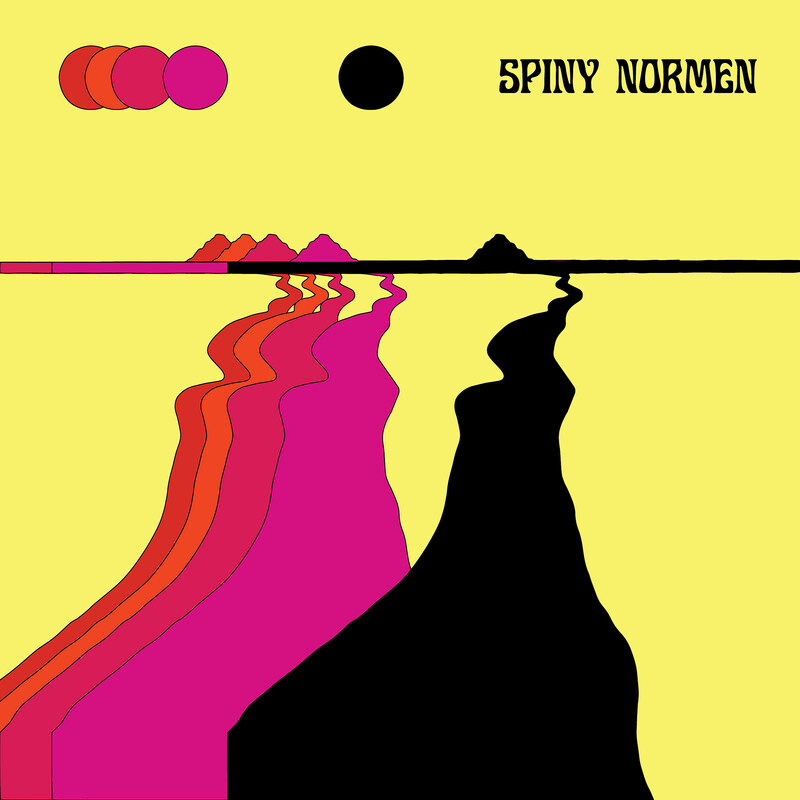 All of us being Monty Python fans, and the Norman-no-show gave us the name Spiny Normen (with an E) which two more bands have since taken. Over the next three years we began to experiment, waaaay off into the beaten path, spending months penning intense, bizarre, surreal and mind affecting pieces influenced by King Crimson, Pink Floyd, film soundtracks, Van der Graaf Generator, and the like along with some bad bad acid trips on my part. I was collecting keyboards …a melotron (hell yes!) a single key play moog. Gerry was adding echoes, early guitar synth and tons of pedals. I learned the flute. New bass player Bruce Salmon and a try at another vocalist Bob Riley and various drummers, my favorite being Robert Winters, were in and out. In we went with a hired stand up bass player and a little Gerry Diaz engineering knowledge to the Alvin community college 8-track recording studio and just played like psychedelic Mozarts. Timpani, live effects, sound effect records, backward echo, violin bow on guitar and plenty of echo. Gerry and I on vocals now. What came out was still, to this day, in my humble opinion, some very complex, untouched territory, holy-what-the-? stuff. We were all about 19. It didn’t last long and we were way behind and way ahead of our time. I’m so ffffn thrilled though at 54 to see what this world of open-ended listeners will think of Spiny Normen now. The 19 year old Steve is getting his dream fulfilled. Gerry and I still experiment here and again with guitar and theremin in an effort called Psylobison. Just as touched, but its not going to give you such bad dreams.